We’ve all heard that technologies like Do Not Track, anonymization software like Tor, and online tracker blocker browser plugins like Ghostery are essential tools for protecting your privacy on the Web. And they are. But unless you’ve never had a Facebook account, never used any Google products, avoid all Web-based email services, and have used the privacy tools listed above since the first time you ever opened a Web browser, there is likely a mountain of your personal data already available to the various companies that make truckloads of cash off your information. Fortunately, there are a number of services that offer ways to cover your tracks, and regain control over your online self. Here, we’ll explore a few of these options, so you can decide which is the best for you and your budget. What it is: The MyPrivacy service from Reputation.com finds your private data located on “dozens” of online data broker services, such as Spokeo, Intellus, and PeopleSmart, then goes through the laborious process of having your information deleted from their databases. It also continuously monitors these data brokers, and makes sure that additional data that gets added is promptly removed. 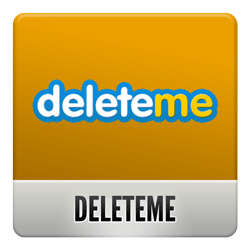 What it is: Created by Abine, the DeleteMe service is nearly identical to MyPrivacy. A team at Abine locates your profiles on data broker websites, then forces them to delete your data by sending them opt-out requests. Also like MyPrivacy, DeleteMe continuously monitors these companies, and has all additional personal information about you removed. The primary selling point for DeleteMe is the number of online data broker services it targets: 53, at the time of this writing. What it costs: Abine offers a number of DeleteMe subscriptions: $100 for a single year, for one person; $160 for two years for a single person; $180 for a single year, for two people; and $270 for two years, for two people. As a bonus, Abine also makes the Do Not Track Plus browser plugin, which is free — and you can get it without paying for a DeleteMe subscription. What it is: MoneyForMyData is an entirely different product from MyPrivacy and DeleteMe. In fact, you could say that it is the exact opposite kind of product — a data broker. Rather than removing your personal data from data broker websites, MoneyForMyData allows you to build and maintain your own online data profile, and claim your data as your own property. You can update your profile with new information, add additional data through “surveys,” and correct old information that may be out-of-date (or just wrong). What it costs: Nothing — in fact, MoneyForMyData pays you. That said, it’s not exactly clear at the moment how much money one can assume to make by participating in MoneyForMyData. We have contact the company, and will update this space as soon as we have more information. Furthermore, MoneyForMyData will not protect your privacy — it will make your private information even more readily available. Still, if you’re not going to use one of the two aforementioned privacy products listed above, you might as well make some money off of it. Everybody else is. So these are a few of the services available to help you take control of your data. However, if you really want to clean up your online presence, you’ll need to do quite a bit more to get everything in check. Check out this piece to see how the top 100 websites are collecting your data, as well as how to opt-out from the worst offenders. Abine has created a meticulous how-to for further deleting information about you from the Web. We also recommend this guide for removing yourself from background check site BeenVerified, and this ZDNet article for further information about getting your data removed from people search site. Users of Apple’s iOS 6 can see how to beef up privacy settings here. And check out how to lock down your Facebook privacy here.